Implant-based restorations offer excellent stability, function, and esthetic results. Commonly used abutment materials: Titanium, Zirconia, and gold hue Titanium. Our experienced Implant team has years of experience working with almost every implant system. We welcome traditional custom abutments or prep stock abutments. 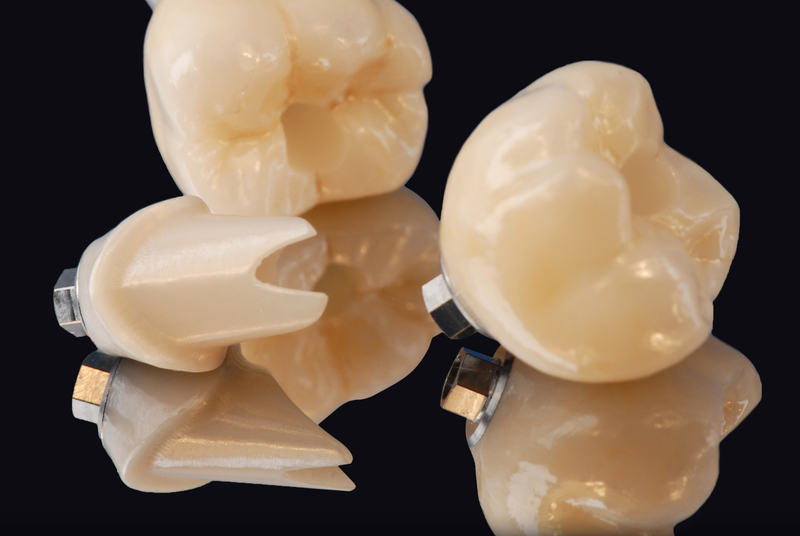 When working with CAD abutments we are skilled in using all providers,with the option to mill your case’s abutment from titanium or, for improved aesthetics, zirconia. Our custom implants and abutments are precision-matched to fit each client perfectly. We use the materials that are certified and care utmost to satisfy doctors and their patients. It’s more than a aesthetic. All our implant abutments are covered by Protech’s Dental Studio 5-year warranty against breakage. 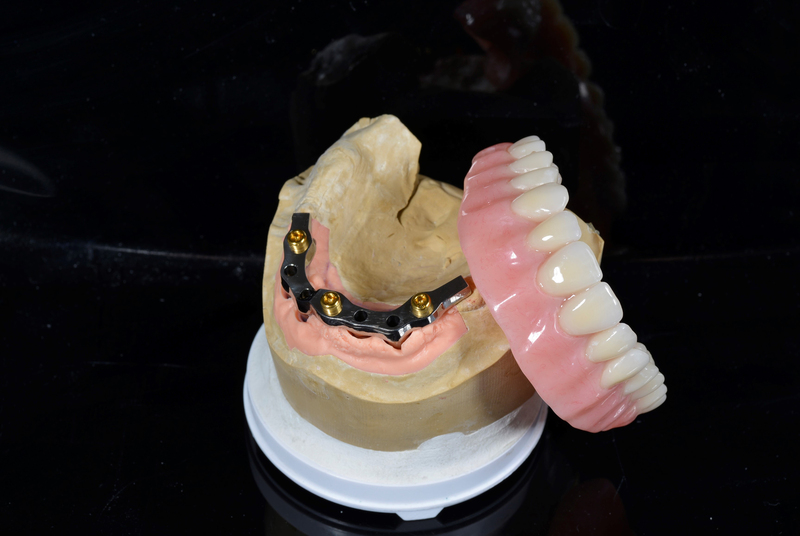 Treatment option superior to conventional dentures, our denture with overbar combines the stability and retention of implant-supported restorations with the accessibility of a fixed removable. A custom titanium implant bar is milled using precise CAD/CAM technology. Acrylic teeth are processed to the bar, and fixed in the mouth via abutment screws. 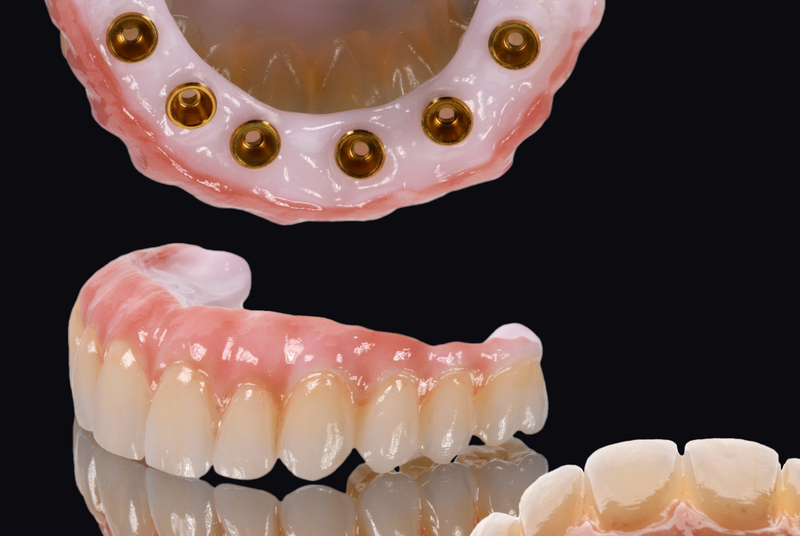 Zirconia hybrid screw-retained dentures are fabricated entirely from monolithic zirconia and affixed directly to implants without the need for an overbar. Because of zirconia’s durability, hybrid dentures offer the longest lifespan of any fixed or removable solution, while still providing access for maintenance or cleaning.